I don’t eat soup, but I know a lot of people do. 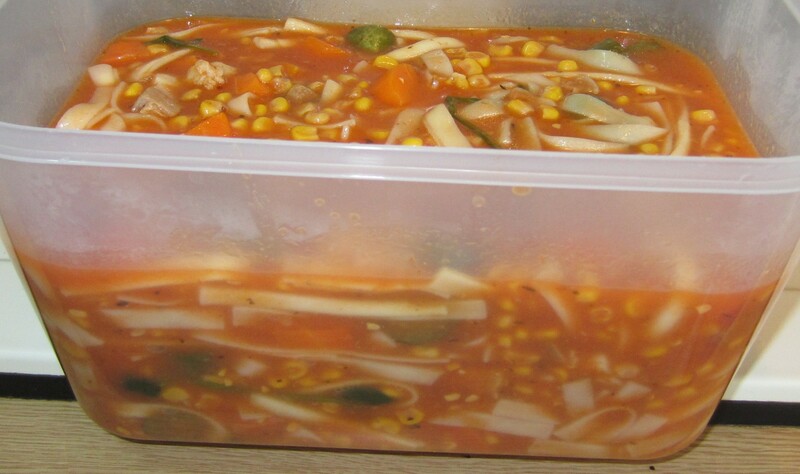 Without a doubt, my favorite soup is a minestrone. 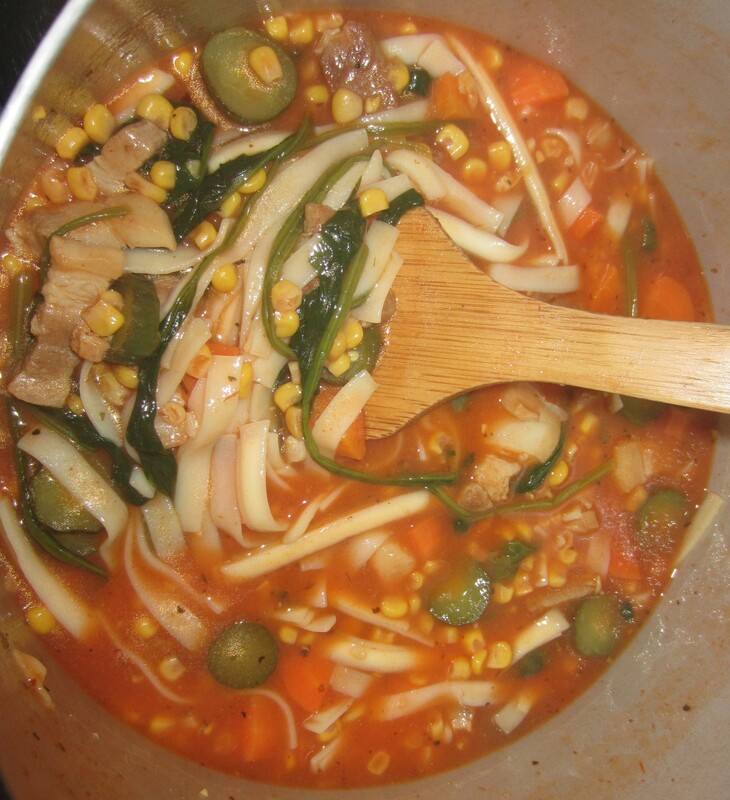 It’s hearty and flavorful; it’s rare to hear someone say they dislike minestrone, so it’s a very safe bet. First things first: you need a pot and a good-sized frying pan. Put 8 cups of water into the pot, along with the right amount of bullion cubes. Chop your pork belly (or bacon) and fry it in the pan. Add some salt and pepper to the meat. Chop your veggies (carrot, cucumber, spinach, garlic). Add a tablespoon of Italian Seasoning to the pot. Add a can (around two cups) of tomato sauce to the pot. Once the pork is browned, add the carrots, cucumber, and garlic to the pan. Stir it for five minutes, then add it all to the soup pot. Add the spinach and corn to the pot. Add the noodles to the pot. Stir it for five minutes, then turn off the heat; you’re done. This entry was posted in Taiwan Writings and tagged bacon, carrot, corn, cucumber, garlic, italian, italy, minestrone, noodle, pork, pork belly, recipe, soup, spinach, taichung, taiwan, taiwanese, tomato.